This was published by Worldsnooker today. It explains a bit better how players will be selected and what it means being a “mentor”. A press conference looking ahead to the 2018 Shanghai Masters and National Amateur Masters was held in Shanghai on Friday. This year the tournament will become an invitation event for the first time, with an elite field of snooker’s top stars. Defending champion Ronnie O’Sullivan was at the press conference to interact with fans. He gave away signed posters, took pictures with fans and played snooker against two of them. Also there were Jason Ferguson, Director of World Snooker and Chairman of WPBSA, Zhang Xingmin, Deputy Director of Shanghai Sports Bureau, Liu Chunsheng, Deputy Secretory of CBSA, Yang Guohao, Secretariat Director from Shanghai Sports Federation, Weng Weimin, General Manager of Great Sports Media and Yang Yibin, General Manager of Shanghai Juss Event Management Co., Ltd. The 2018 Shanghai Masters will be held at the Shanghai Regal International East Asia Hotel from 10th to 16th September. The total prize money will be £725,000, with a top prize of £200,000. And that total prize money figure will grow over the next five years to reach £825,000 in 2022. The 2018 Amateur Masters is a very important part of the Shanghai Masters, providing opportunity to the talented amateur players to compete against the world’s best. This year’s Amateur Masters will start at Shanghai Bawanren Snooker Club on 4th August. There will be four events to be held in Shanghai, Shenzhen, Chengdu and Xi’an. Top four at each event will attend the final held in Shanghai on 8th September. The winner and runner-up of the Amateur Masters event will qualify for the Shanghai Masters. Another innovation this year will be an interactive reality show called ‘Next Stop, The Master’ on 9thSeptember. 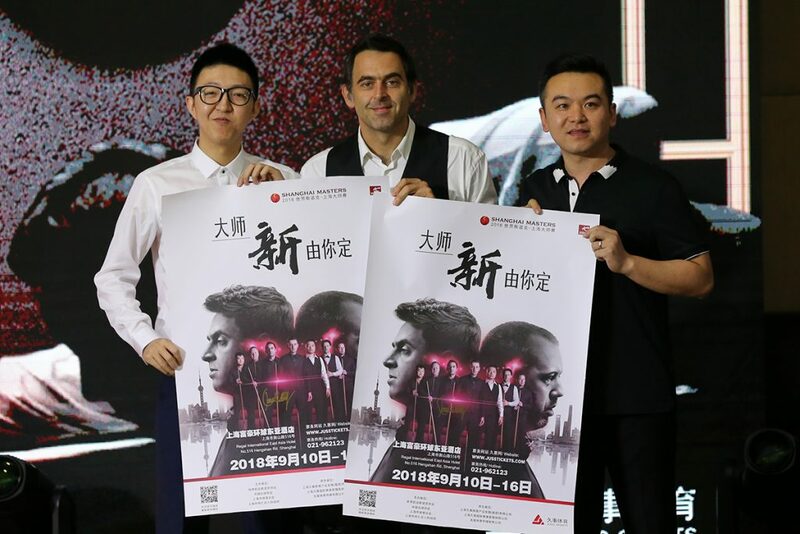 Instructors Ronnie O’Sullivan and Mark Williams will each team up with four amateur players (including the winner and runner-up of 2018 Amateur Masters) for an exhibition match. All charisma there. A fantastic little video for the Shanghai Masters. Thanks for sharing it!